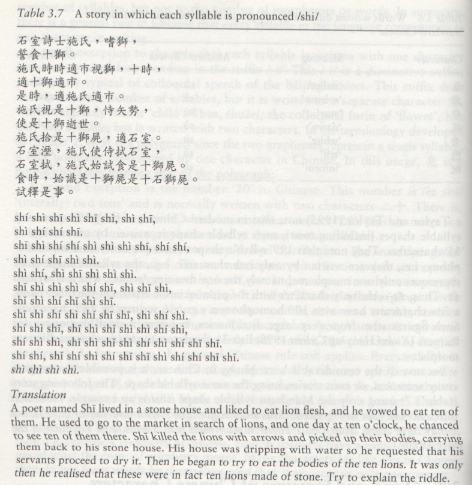 I love this very extreme example of Mandarin Chinese homophony: an entire story made up of a single syllable (though really four syllables of course, taking into account tonal quality). This entry was posted in language and tagged Chinese homophony by paul. Bookmark the permalink.